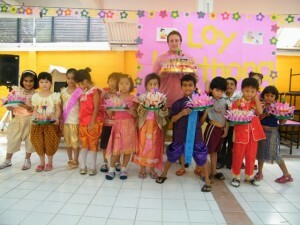 We had a lovely Loy Krathong Assembly this year. 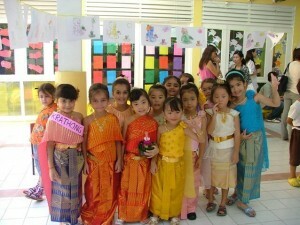 The children dressed up in various Thai costumes. 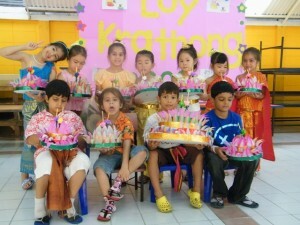 Firstly, we talked about the significance of Loy Krathong and why it is celebrated here. 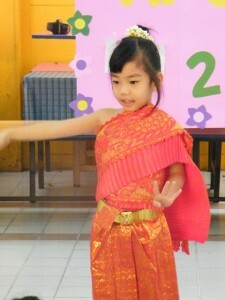 We watched a wonderful Thai performance by our K3 students and then all the children danced along to the ‘Loy Krathong’ song. 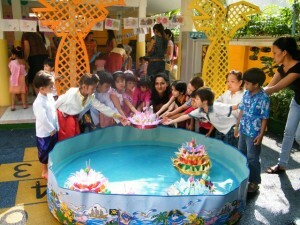 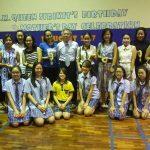 This activity was followed by our Mr. and Miss Loy Krathong Pageant. 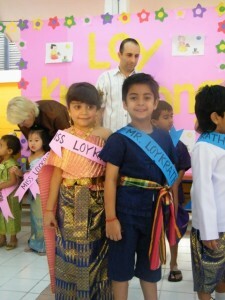 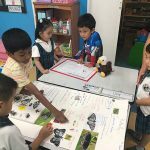 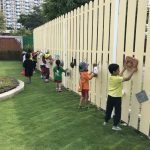 One boy and one girl were chosen from each class. 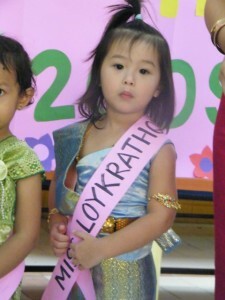 They all looked so beautiful so it was very hard to choose only two! 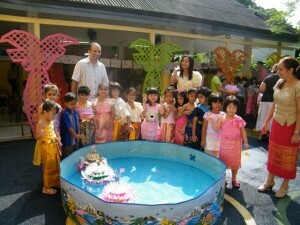 Finally, each class was given the opportunity to float their class krathong into the two paddling pools, followed by photos. 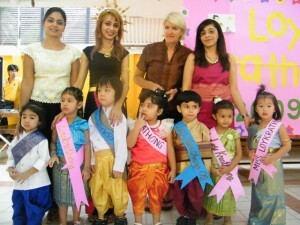 It was wonderful to celebrate this very beautiful Thai custom together with the children and parents who joined us!